Select the “User Menu -> Administration Menu” item from the left navigation bar. 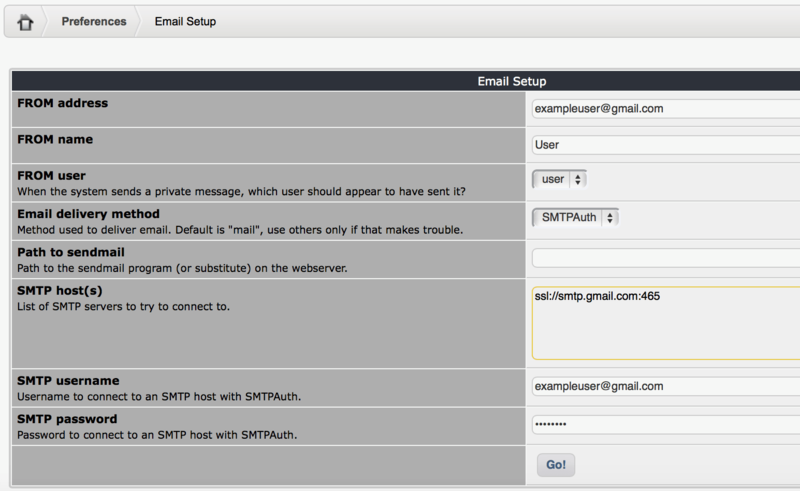 Click the “Preferences -> System Options -> Email Setup” menu in the top navigation bar. Click “Go” to save your changes.